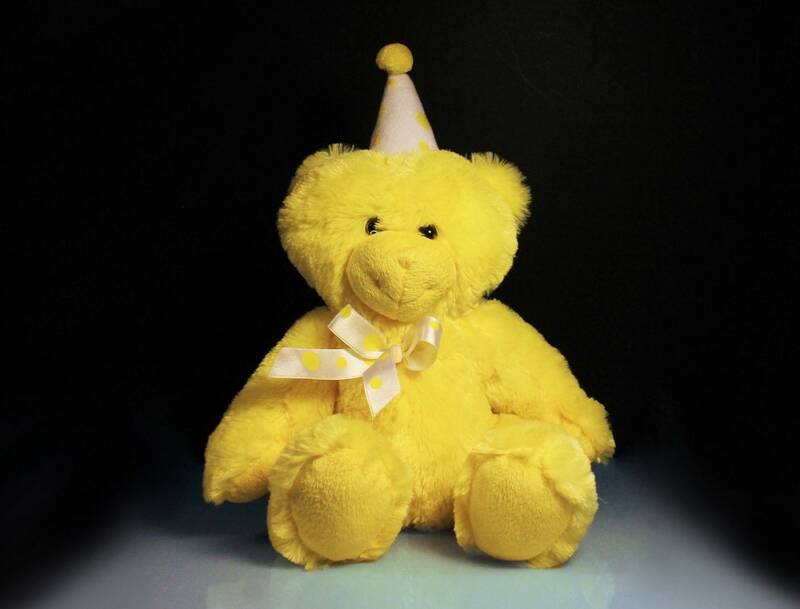 This is an adorable bright yellow teddy bear by Beverly Hills Teddy Bear Co. His fur is very fluffy and he is soft and cuddly. He is very clean and is looking for a good home. 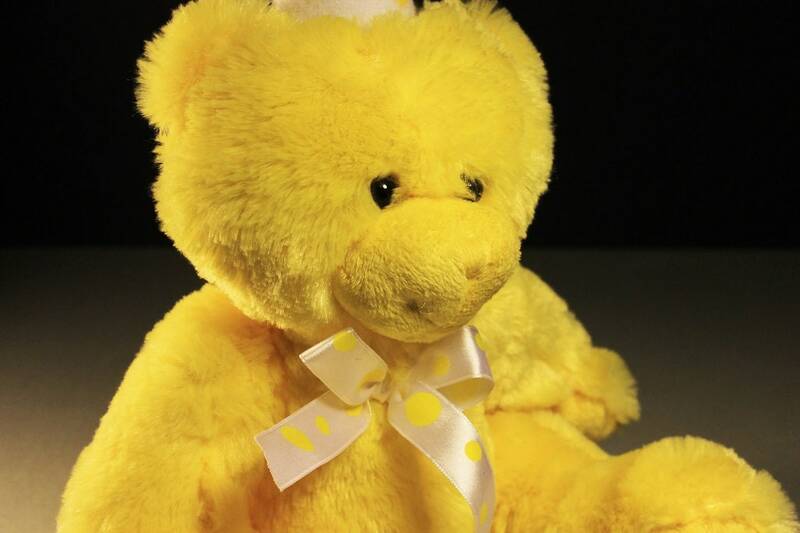 The bear is sitting and stays in that position and has a white ribbon with yellow polka-dots on his neck and a matching hat. This little bear will make anyone's day brighter. 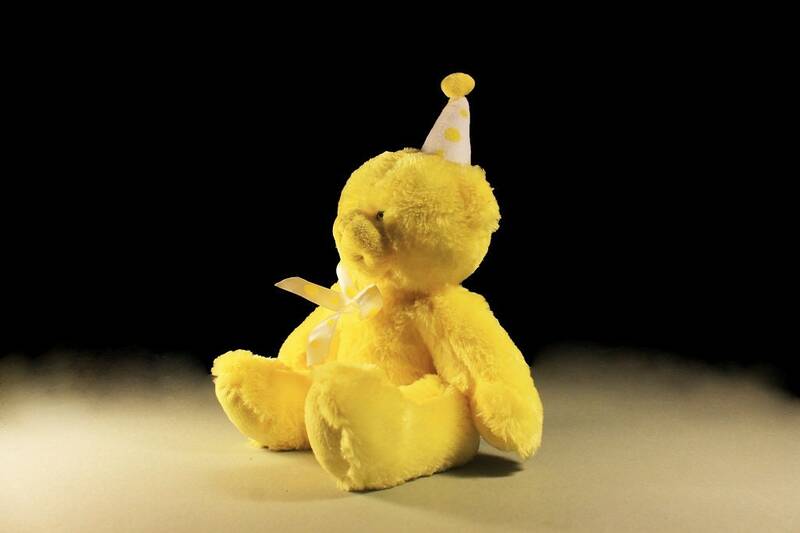 A teddy bear is a soft plush stuffed animal toy in the form of a bear. Developed simultaneously by toymakers Morris Michtom in the U.S. and Richard Steiff in Germany in the early years of the 20th century. 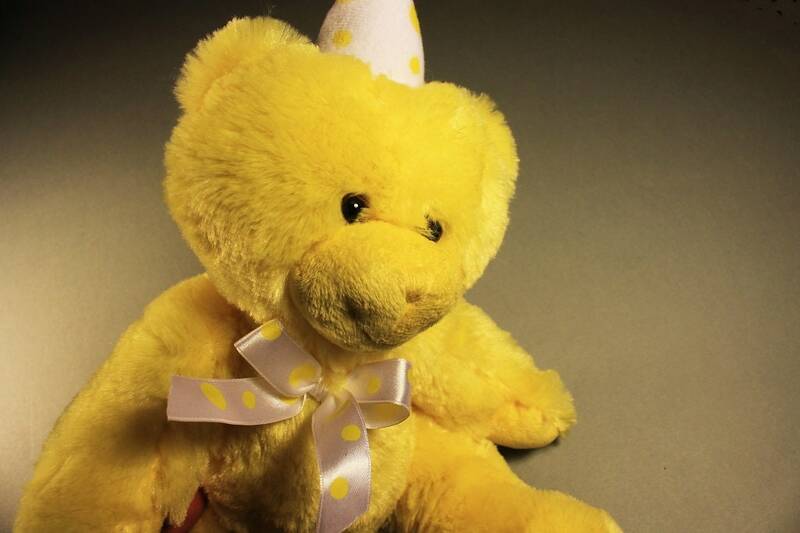 It was named Teddy Bear after President Theodore "Teddy" Roosevelt. 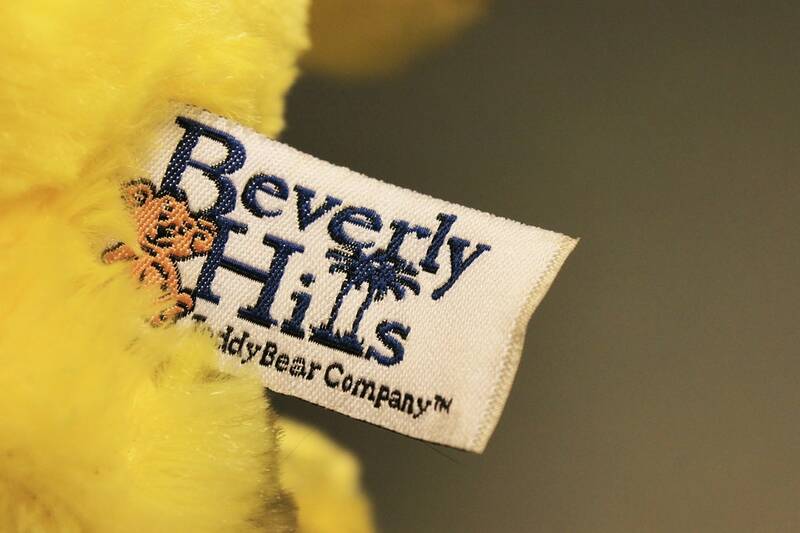 The teddy bear became an iconic children's toy, celebrated in story, song, and film. 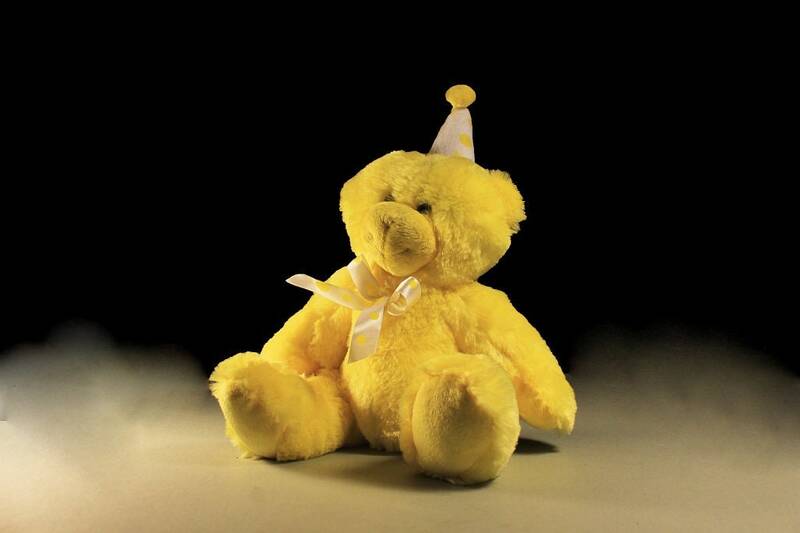 Since the creation of the first teddy bears, they have greatly varied in form, style, color, and material. 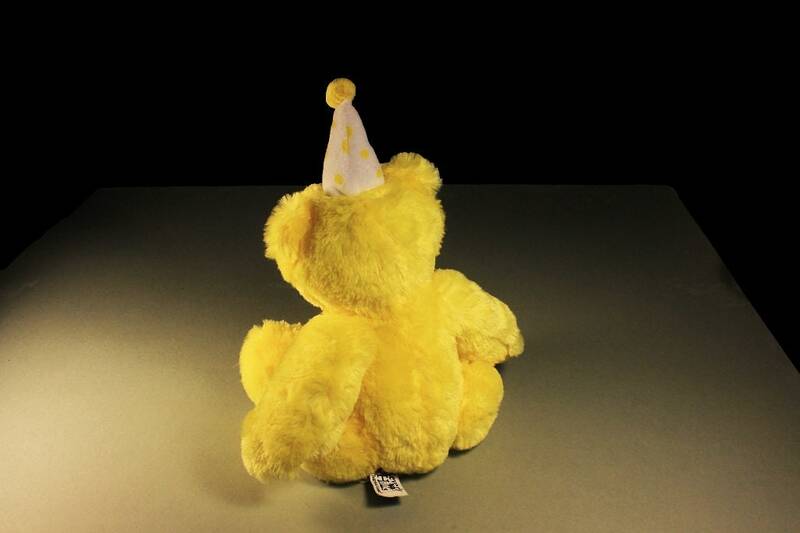 They have become collector's items, with older and rarer bears appearing at public auctions. 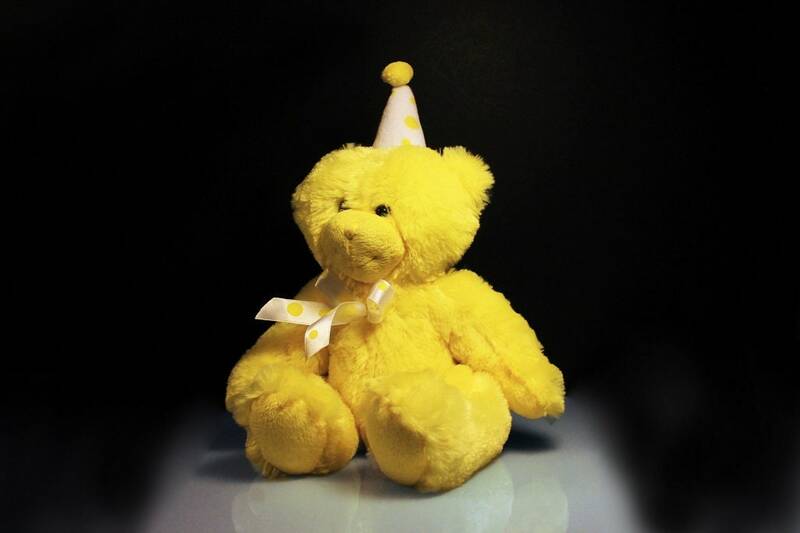 Teddy bears are among the most popular gifts for children and are often given to adults to signify love, congratulations, or sympathy. This is a used bear. 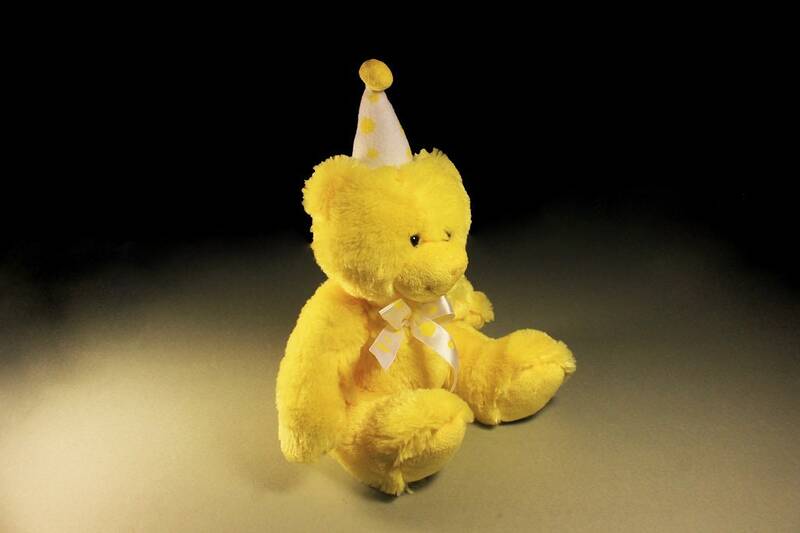 This bear is in excellent condition. There are no rips, tears, or repairs. This little bear is just looking for someone to share their honey jar. In return, he will make your days and nights brighter. So welcome him to your home or give him to someone to love.